Sebastian (“Sabby”) Alvarado has grown up in this community and wants to provide an opportunity for local young players to develop their skills and understanding of the game under quality instruction. He played collegiate soccer at nearby California Lutheran University. A former first team All-Far West region player (1995 – 1997), he helped the Kingsmen to three SCIAC Championships while garnering All-League First Team honors his sophomore, junior and senior year. Sebastian has been coaching at Oaks Christian High School since the school opened in 2000. He has been coaching high school for over 20 years and has extensive coaching experience at the youth levels. He is one of the few coaches to win a CIF title with both the girls and boys high school programs. In his first four season with the Oaks Christian Girls Team (2010 – 2014) Sebastian coached the OC girls team to 3 CIF Championship and 2 State Championships. Setting a school record in 2011 with 28 wins in a season. 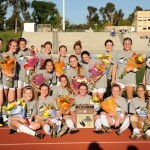 This year the OC girls team won CIF and another State Championship. They are the only High School team to win Back-to-Back State Championships. Played Semi-Pro with SC Nitemares and Ajax. 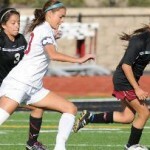 Current members of the Oaks Christian soccer teams will also act as counselors throughout the camp. Experienced coaches from the collegiate and club levels will also be assisting. Our staff has been specially selected for their experience, knowledge, passion, enthusiasm and ability to teach youth players and to make a difference in their lives. All OSC coaching staff have passed risk management and extensive background checks.